T-shirt design for deviantWEAR Design Battle Cute Monsters t-shirt design contest. 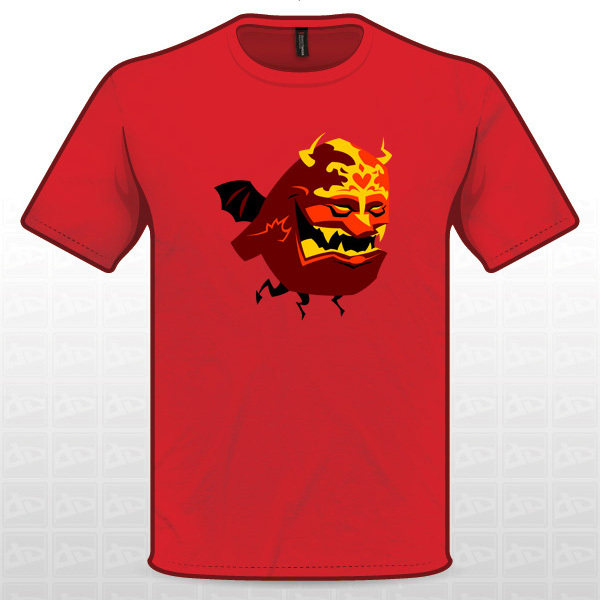 Rakshas - demon or monster from Hindu mythology and here is a friendly and cute version of a monster for your t-shirt. Visit entry to Vote for this Rakshas t-shirt design. I like him very much. He has passion for music like me. Dunno whatever he does for his living, his favorite passtime is listening to music. Here is The Music Monster please vote for him to see him on deviantWEAR t-shirt. He has a smiling face - he is Greeny. Vote for him to make him a winner on deviantWEAR cute monster t-shirt design contest. Cute little monster girly. She's not cute at all, she's going to beat the living crap out of someone. you are making her sad, or worst, you are making her angry.Visit entry to vote on Cute little girly t-shirt design. Here are my five entries to the deviantWEAR cute monster t-shirt design contest. Clicking on I'd Wear This will cast your vote in favor of the respective design - if you like this designs, please support me by casting your votes and share this post to encourage others to make me an winner.